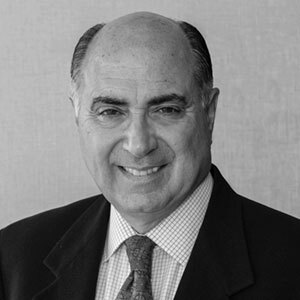 A founding partner of CN, Anthony Cicatiello is responsible for media relations and public affairs consulting, and serves as senior producer of film and video production for CN client projects. Tony also serves as President of CN’s client, the Research & Development Council of New Jersey. A native of Youngstown, Ohio, Tony has served on the Rutgers University Board of Governors, as Chairman of the Commission on the Future of the State Colleges in New Jersey, and on the National Communications Advisory Council of The Ohio State University. He served as a member of the Branding Committee of the New York Stock Exchange and on the Board of Elizabethtown Water Corporation. Tony currently serves as Chairman of the Schumann Fund and on the Board of Spencer Savings Bank. Tony has served on the Boards of the George Street Playhouse in New Brunswick, and the National Conference of Community and Justice, New Jersey Chapter. Tony also served on the Century Foundation’s Commission on Homeland Security, advising on communications aspects of the New York region’s security and rebuilding efforts in the wake of September 11th. He earned a B.S. in Biological Sciences in 1970 and an M.P.A. in 1973, both from The Ohio State University. Tony may be contacted at acicatiello@cn-com.com.